CHO Geun-hyun of 26 Years (2012) and Late Spring (2014) is switching gears by taking on a children’s film as his next project. Based on a character from the EBS children’s show program called Lightening Man as its subject, the project began shooting in early May and is scheduled to release at the end of this year. Confirmed cast for the film include a K-pop star and musical actress Luna, from girl group f(x). Although this is director CHO’s third directorial film, he had previously participated in large-scale films as an art director. His filmography included A Tale of Two Sisters (2003), My Mother, The Mermaid (2004), The Duelist (2005), Radio Days (2008) and My Way (2011). 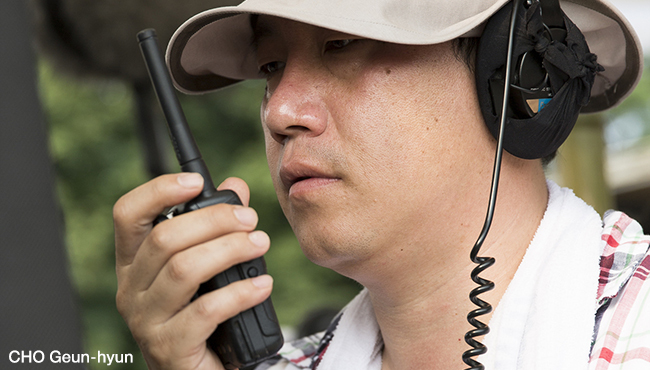 Also on board for the project is the cinematographer of popular TV series Misaeng, JANG Jong-kyung, and lighting director PARK Hyun-won who worked on Thirst (2009) and Sympathy for Lady Vengeance (2005). [Infographics] Lunar New Year Holidays: A Time for Movies with the Family!